Our Gateway Foster Home program provides safety and stability within a supportive, therapeutic family environment for children and sibling groups, ages birth to 17, while preparing for adoption. These homes support the notion that continuity of care, permanency and family planning are essential to ensuring stability for children. As a result the children placed in the home are provided a vast network of resources to help them remain stable, support them as a sibling group and foster the process of reunification, kinship care or adoption. Our goal at the Gateway Foster Home is to provide consistent therapeutic supports and services for children and families from the day children enter the home through six months following reunification, kinship placement or adoption. Gateway Foster Homes serve multiple purposes, each with the goal of shortening the time children are in foster care and promote healing, age appropriate functioning and permanency for children coming in to foster care, children who have been in foster care and sibling groups who have been separated or are at risk of being separated while in foster care. 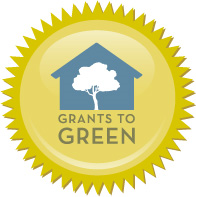 As a part of CHRIS 180’s ongoing commitment to environmental sustainability, and with support from Grants to Green, CHRIS 180’s first Gateway Foster Home was renovated for Earthcraft Certification in 2014.